The Victorian era (and the years immediately following) is well-known today for controversies that seem antiquated, even quaint, from a 21st century perspective. So, how does one set off said controversy in a small town of approximately 2,800 people in the first years of the twentieth century? The answer is this: propose the construction of an electric car waiting room in a bucolic town center and within a stone’s throw of the town common. As electric car (perhaps today better known as ‘trolley) travel became increasingly popular in the years approaching the dawn of the twentieth century, the need for a electric car stop (and waiting room for passengers) in the town center of Billerica, Massachusetts became apparent. A map of the town center area of Billerica, Massachusetts, is shown below. 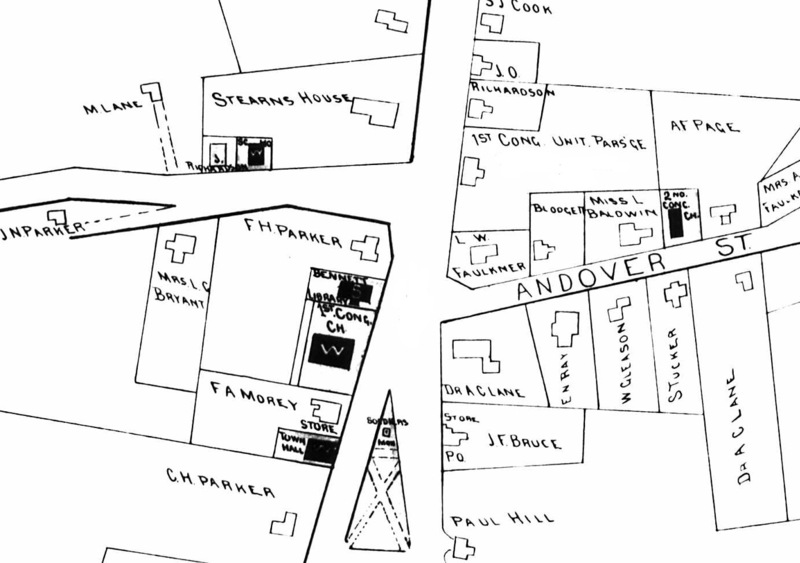 Town Common appears as a triangle, bottom center. The Waiting Room, when it was proposed for the lawn of the Hillhurst Hotel in 1902, resulted in heated protests, and even threats, from Billerica, Massachusetts residents, especially those living in the Town Center area. 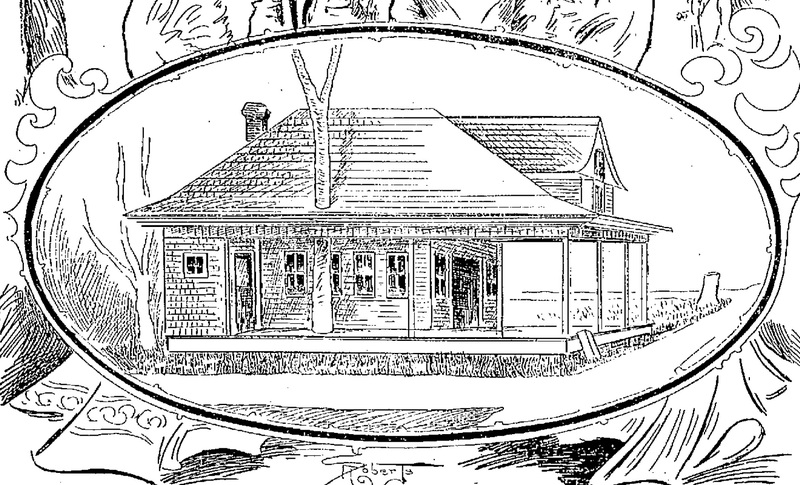 The Hillhurst, shown in the above map as The Stearns House, its predecessor, had hitherto served as a vacation home for traveling theological students, clerks, and teachers. It was even the site of the town’s first (and at this point, still the only) pay telephone station. With the construction of this ‘roadhouse’, residents reasoned, the ‘lower elements’ of society would be attracted like ‘moths to a flame’. And they were able to accumulate some evidence that they saw as supporting their assertion. Residents of the town common area, especially abutting, or directly opposite the new Waiting Room, crafted plans to discourage those awaiting the electric cars from lying in their lawns, and leaving their empty whiskey bottles behind. Several prominent residents went so far as to replace their lawns with potato patches, which, when well-watered, resulted in a muddy mess that succeeded in warding off loiterers. They saw the Waiting Room, constructed in 1902, as an eyesore, a blot on their townscape. The Room was intended to serve as a shelter for those awaiting electric cars with destinations around and outside of town. In retrospect, the bungalow-style building, with a large elm tree poking through its roof, was not devoid of architectural interest. The odd tree arrangement of the much-maligned building did not escape the notice of the town gossips. They jested that the tree served as an escape route for the builder to flee the contemptuous public or, rather, as an anchor that would prevent that same public from throwing the House, perhaps preferably with its builder inside, into the nearby Concord River. Town residents were so taken aback by the plan to construct the Waiting Room that they, at one time, offered its builder an amount equal to a laborer’s annual wages, to halt construction. This effort failed. Veiled threats against the Waiting Room even emerged, with some residents recalling an earlier story in which a rather controversial bridge spanning the Concord River was constructed, and then burned by the insensed public. This act, which resulted in a fine against the town, prompted the gossips to suggest that the town should start a fund to cover the eventual damages, should the Waiting Room face a similar fate. The Waiting Room remained in the town center for some years, but today is no longer extant. During its years of operation, it served to connect the town with the larger Greater Lowell (and even Greater Boston) community, shuttling its residents to cities such as Lowell or Boston to see the larger entertainments offered in the theaters of the day.